Consider the difference between a "job" and "work." A job is what you do to support your physical and financial needs. Work is what provides you with emotional, intellectual and spiritual satisfaction. Meaningful work is the fusion of both concepts. Beliefs about the meaning of work have changed over the centuries. The ancient Hebrew scriptures viewed work both as punishment for moral disobedience and as a positive act of redemption. 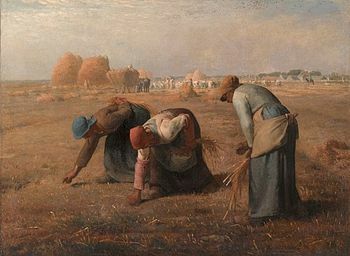 The emergence of the Protestant Work Ethic supported the belief that human labour is the will of God and positioned the industrious worker as God's true servant. The Protestant Work Ethic also planted the idea that idleness is a breeding ground for sin. We might ask how this idea continues to contribute to the sense of shame some people experience when they are not actively engaged in work. In recent times and from a more secular viewpoint, the value of work has been more about the pursuit of money and as a means for building up material possessions. It's also important to consider that this experience can be different for people of differing socio-economic classes. People living in poverty are perhaps more likely to be driven by economic necessity or basic survival needs. The middle class may be driven more by achievement and the need to accumulate possessions, and the wealthy may be more inclined to value work as a connection for political and social purposes as well as financial. 4) the extent to which work is a vital life interest. Work is also a social experience for many people. In addition to providing an opportunity to experience satisfaction from task completion and perhaps significant accomplishments, work provides an opportunity for affiliation and meaningful relationships. The psychological, social and economic value of work can lead to a person's self-worth becoming so inextricably bound up with their employment status that people who lose their jobs may go through several phases - shock or disbelief, anger, depression and hope - similar to the stages of death and dying. When people stop working for whatever reason, they not only lose one of their most important means for connection, but also a significant part of their identity as a person. The inherent need to work is part of who we are as human beings. The satisfaction of this need increases substantially when we are able to live out our life's purpose through our work. Living our lives with a sense of purpose is healthy from all perspectives: psychologically, spiritually intellectually and physically. When we are purposefully engaged, we feel fully alive. Consider how your work has contributed, or continues to contribute, to your life's purpose.